Alcohol is illegal in the United Arab Emirates, on Etihad and Emirates – know the facts and what to do! 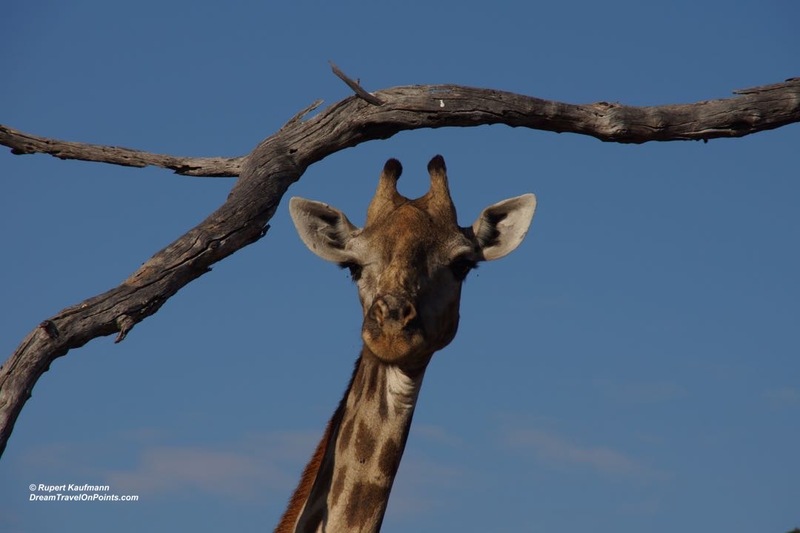 Giraffes are one of my favorite animals in Africa – they are so tall, yet look so fragile. They can run really fast, but graze so slowly – they might as well have invented Slow Food! And when you get a closer look, they are quite cute! We spotted this one in Chobe National Park in Botswana on our tour from Cape Town to Victoria Falls, an adventure of a life time! Abu Dhabi in the United Arab Emirates was little more than a few huts in the sand just 100 years ago – and has grown to a shiny city of skyscrapers since. 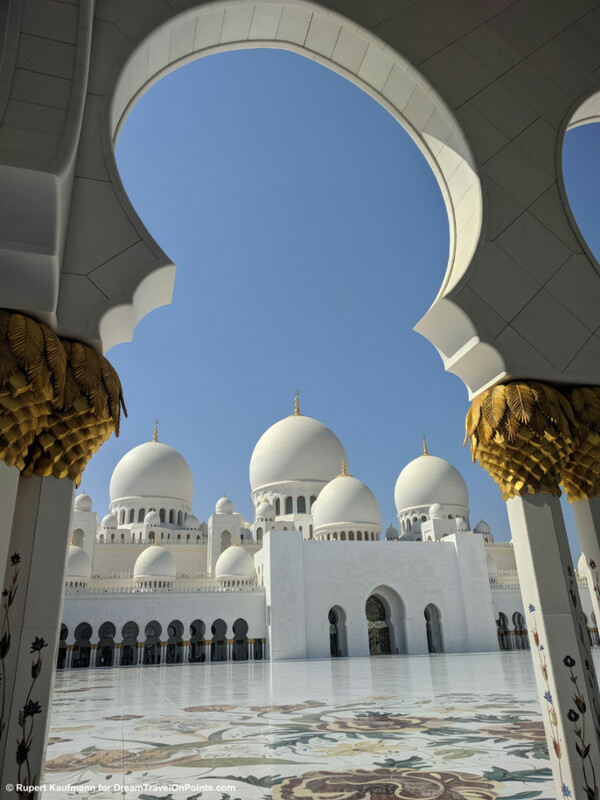 No building conveys that rags-to-riches story better than the fascinating Sheikh Zayed Grand Mosque with its white domes, moorish gateways and millions of Swarowski crystals – it’s a must-see even on the shortest stopover visit! What makes Etosha National Park so unique is that the wildlife watching is focused on the water holes the animals come to in this very dry park, so you can sit quietly and watch the animals, without having to rush around in a jeep like on other safaris. And it’s especially beautiful and peaceful at sunset – it’s a sight I’ll never forget! Wildlife watching is fascinating in Africa. What sets Chobe National Park in Botswana apart from other parks is the chance to see wildlife from a boat, a very different and more relaxing experience than rushing around in a Land Cruiser! 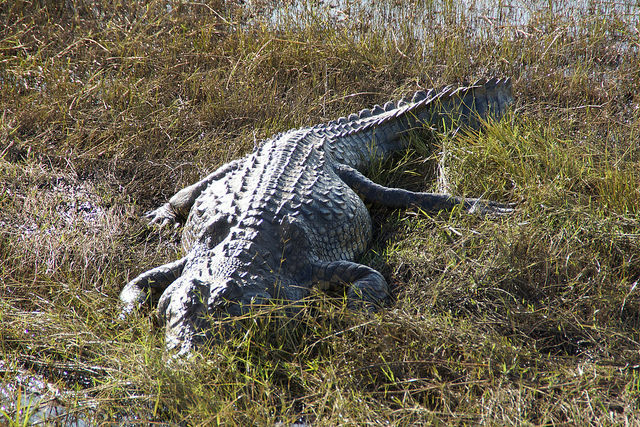 And it gives you a comfortable distance when spotting huge crocodiles like this! For other African adventures, check out my post on Kruger National Park and my Cape Town to Victoria Falls trip! 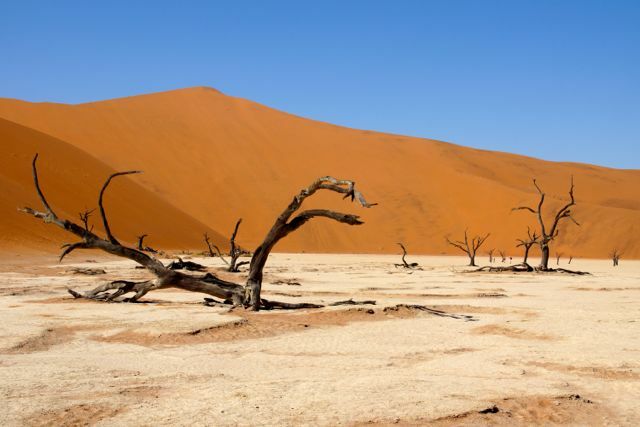 Namibia is one of the least populated countries on Earth and the Sossusvlei desert is the most remote region I have ever visited. It’s strikingly beautiful and very much worth the effort! I went as part of my Cape Town to Victoria Falls Adventure and highly recommend the trip! Robin took this stunning photo full of tension in Ngala, South Africa. 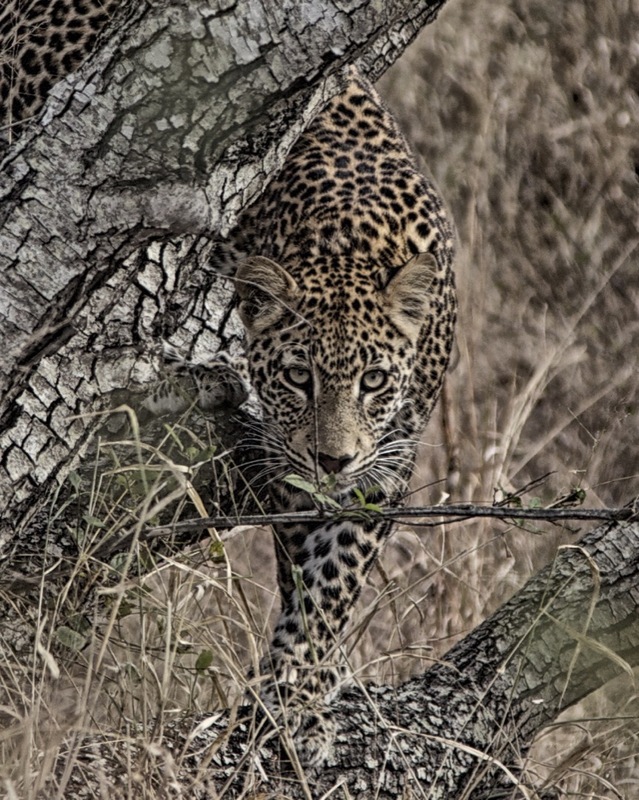 The 1-2 year old young male leopard had just jumped out of a tree and looked straight at him! Ngala is a safari camp on the edge of Krueger National Park in South Africa with great game drives. Robin has more, equally captivating photos on Robin’s Photo Site. You can view them, order photos or create photo products on the site! I had similar experiences on my trip to Krueger National Park. You can also stay in camps inside the park, go on bush walks or rides with the rangers or go on a game drive in your own car – spotting a pride of lions on my own was one of my most exciting wildlife experiences! 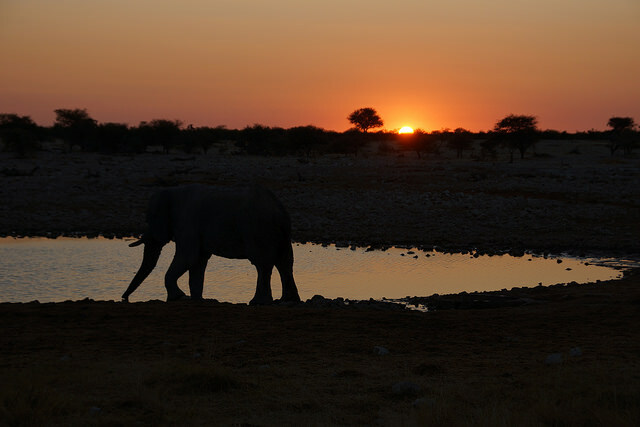 FantasticFotoFriday: Kruger National Park – Do-it-yourself Safari! 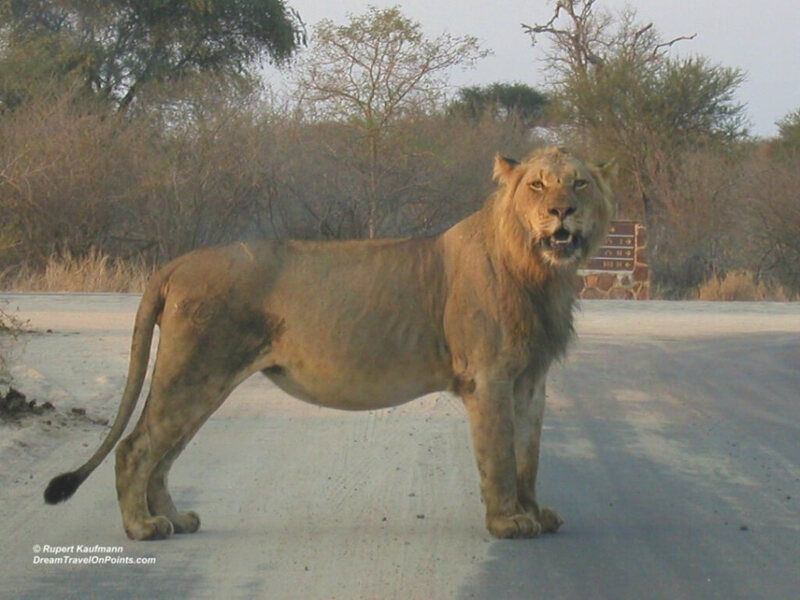 I have been to a number of wild life destinations and on safaris – but nothing felt as up-close and personal as driving around Kruger National Park in South Africa in my own car, with the window rolled down, discovering a pride of lion, with one of them walking past my car in arms reach – fascinating and unforgettable! Check out the stories and photos from Kruger National Park for more! Do you have a photo that captures great memories of your favorite place? Submit it with your story and I will review it for publishing as a future FantasticFoto! 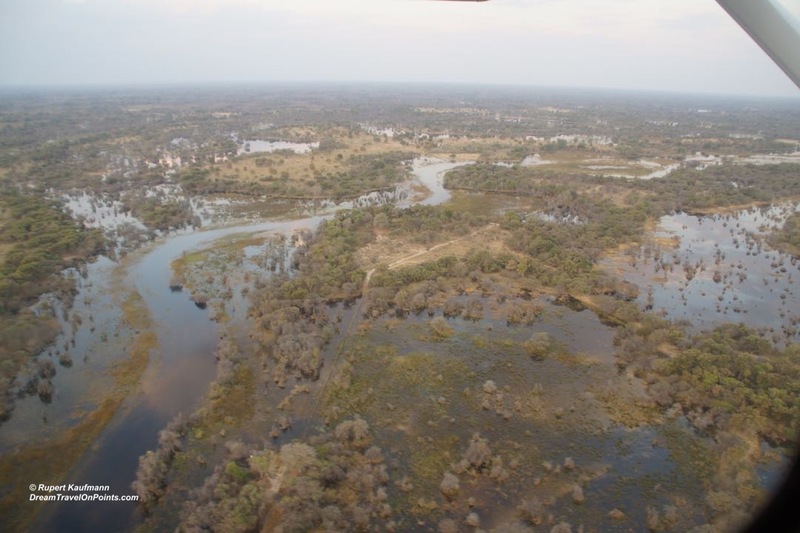 Fantastic Foto Friday: Okavango Delta – a River disappearing in the Desert! Check out my experience and more photos from the Okavango Delta, as well as my other adventures from Cape Town to Victoria Falls!